HP: What might the future with 3D printers look like? HP is a market leader in 3D printers. Unfortunately, not only is HP not associated with the technology, but it lacks recognition generally among the younger generations. 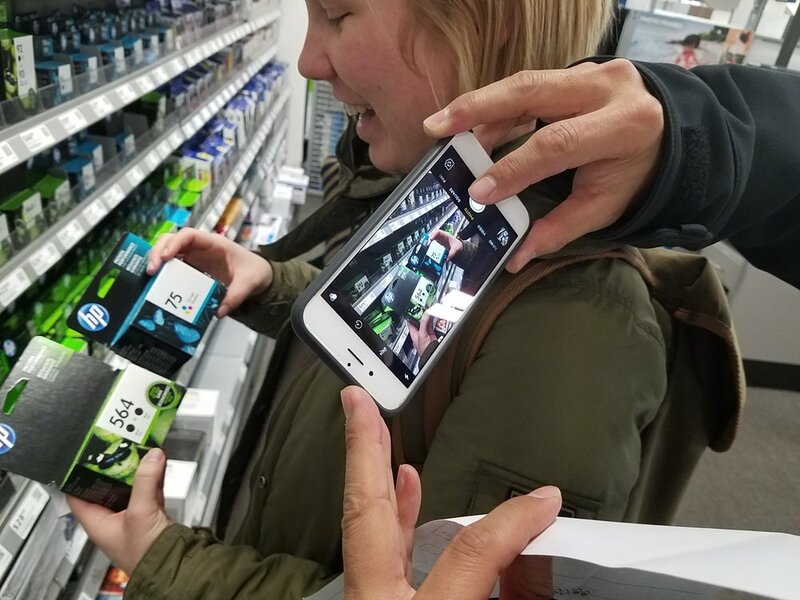 SVA Masters in Branding team was challenged to propose product innovation strategies for HP’s 3D printers, and to envision how such a product line can be leveraged to inspire stronger emotional connections between current users and the broader HP brand. Survey after survey show that for brands, younger Millennials and Generation Z tend to value emotional connection and positive impact on the planet -- two traits HP has not tried to offer to before. In fact, customers from those generations said, “HP is like Volvo. Very safe and reliable, but not too emotional.” This wasn’t the opinion of just that one person, but common to the cohort: safe but unexciting, satisfactory but unambitious. Knowing that HP’s brand equity lies in realms of “safe” and “reliable,” we asked how HP can position their 3D printers to both leverage these qualities, while tackling crucial social issues to show its ambitions to make life better for everyone, everywhere. We went after plastic - to reduce its use and impact on human health and the environment. We envisioned a business model where HP cooperates directly with producers of food and other perishable goods, especially those who emphasize green policies and technologies. We suggested to pilot a project with Chobani (another of our clients), as Chobani CEO Hamdi Ulukaya’s philosophy centers sustainable and mindful consumption. People are willing to pay more to enjoy quality food, responsibly sourced. The project was presented in cooperation with Interbrand; HP was very excited about the future possibilities for its 3D printing technology, and the brand in general. Currently HP is conducting feasibility studies on 3D printing of natural packaging.